The 2017 HERDSA conference is taking place in Sydney in a weeks’ time. The theme for this year’s conference is Curriculum Transformation and is convened by ALT Fellow Romy Lawson. This year, ALTF is a proud sponsor of the expert streams that will be ongoing throughout the conference. A number of ALT Fellows will be participating in these streams and in workshops in Sydney across the week. Please see below for more information on where you can support Fellows. You can find more information about the conference at www.herdsa2017.org. We are very proud to support ALT Fellow Prof Romy Lawson who has been busy as the HERDSA 2017 conference convenor. Romy will also be facilitating the stream Whole of Institution Curriculum Transformation– Making the Change for All alongside ALT Fellow Dr Geoff Scott and Prof Sandra Graham. This year the HERDSA Conference will see the introduction of three ongoing streams throughout the conference program. These streams will be facilitated by Australian Learning & Teaching Fellows and international leaders in the areas. The streams will meet for a 90 minute session each day for the three days of the conference, to discuss both the challenges and solutions for the future. Professional development for curriculum transformation. This session will be facilitated by ALT Fellow Dr Geoff Scott, Prof Sandra Graham, and ALT Fellow Prof Romy Lawson. This session will be facilitated by ALT Fellow Prof Dawn Bennett and Lorna Froud. This session will be facilitated by Dr Karin Crawford and 2016 ALT Fellow Dr Wendy Green. ALT Fellows will also be discussing curriculum transformation and putting it into practice in a plenary panel session. There will be three ALT Fellows on this panel: Trevor Cullen, Les Kirkup, and Manjula Sharma. ALT Fellow Angela Carbone will be introducing the panel. HERDSA are offering Pre-Conference Workshops on the day prior to the HERDSA 2017 Conference on Tuesday 27 June 2017. Pre-Conference Workshops will be held at UTS, Chau Chak Wing Building in Ultimo. You need to register for the Pre-Conference Workshops through the HERDSA 2017 online registration portal. Two of our ALT Fellows, Lisa Tee and Wendy Green, will be involved in workshops on the day. ALT Fellow Associate Professor Lisa Tee and Dr Simon Bedford are holding a workshop titled Making curriculum visible: Engaging students in learning outcomes and career relevance through a multi-dimensional, interactive map. This workshop is for academics and professional staff who are interested in engaging and motivating students in their learning. It aims to increase the awareness and importance of program learning outcomes and graduate capabilities to graduate success and employability. So you want to publish in the field of Higher Education? This practical and interactive workshop will interest those who wish to build their confidence and ability to write for publication in journals in the field of Higher Education. Members of the editorial team, including ALT Fellow, Wendy Green will co-facilitate the workshop. The workshop will be held on 27th June from 1-4pm, at the Chau Chak Wing Building, University of Technology, Sydney. For those of you who will be in Sydney in the lead up to HERDSA 2017, you may be able to attend two workshops by ALT Fellows on Friday the 23rd June. The last of ALT Fellow Sally Varnham’s national workshops will be held on Friday 23rd of June. Sally’s Fellowship is entitled Creating a National Framework for Student Partnership in University Decision-making and Governance. During 2017 the Fellowship is undertaking a sector-wide collaboration to develop an agreed set of principles, a framework for student engagement and ultimately toolkits to assist universities in the implementation of these principles. Workshop participation will comprise live discussions of a series of prompt questions and an opportunity to upload answers to these questions via Survey Monkey. The “survey” will also be available after the workshop to collect further input from participants and from those who are unable to attend but would like to comment on the issues discussed. On Friday 23rd June, at the University of Sydney, Wendy Green will facilitate a discussion on Engaging students as partners in global learning: Changing the way we think and do international education. 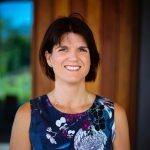 In this session, Wendy will discuss her ongoing work, as an Australian National Learning and Teaching Fellow on engaging students as partners in global learning. She will outline the aims, key questions and outcomes from her fellowship work to date, and invite participants to share their own experiences and questions about global learning and student-staff partnerships. The session is free and open to all. For further information see the event page here.